Product #18186 | SKU ATOMCAB009 | 0.0 (no ratings yet) Thanks for your rating! The 19.7-25.6" Full to Mini HDMI Coiled Cable from Atomos has tight fitting connectors. 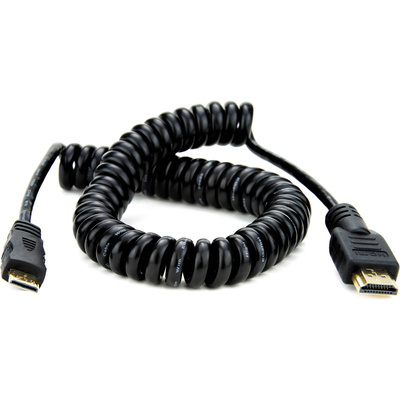 The cable is coiled to prevent clutter and extends the signal up to 25.6".